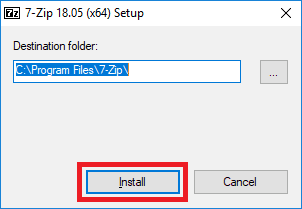 This is a quick guide on how to download and install 7-Zip on Windows. You’ll love the clear step-by-step approach in this tutorial. 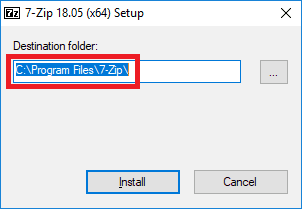 7-Zip is a utility that you can use to read or write several archive formats. The program contains a command-line and a graphical user interface. 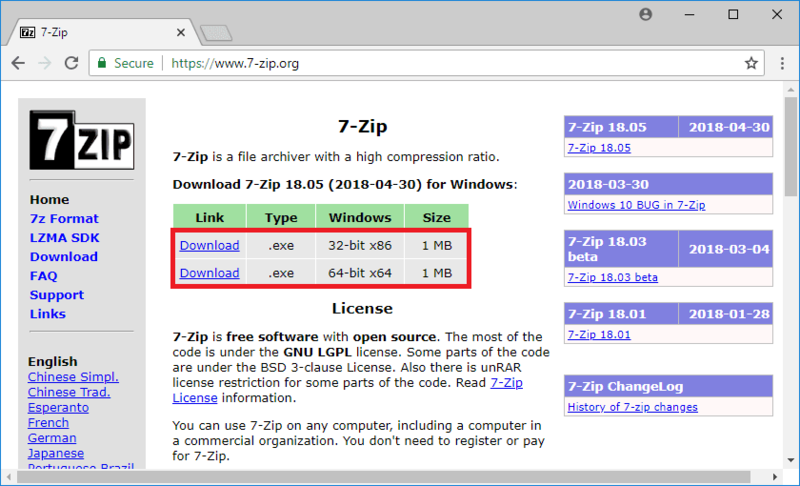 7-Zip is created and maintained by Igor Pavlov. Head over to the 7-Zip home page. At the top of the page, you can find the installers for Windows. Check your windows bit version and click on the corresponding link. In this guide, we will download the 64-bit x64 version. You can change the installation location by clicking on the … button. In this example, we keep the default install location of C:\Program Files\7-Zip\. The 7-Zip installation will now start. 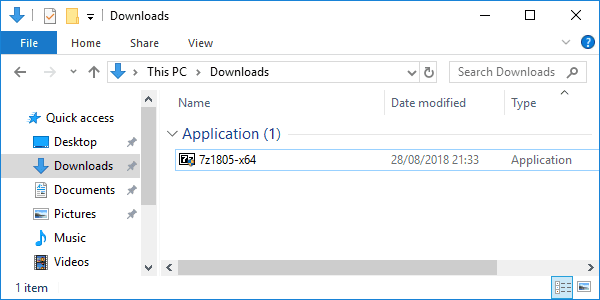 You can now use 7-Zip to compress or decompress files. 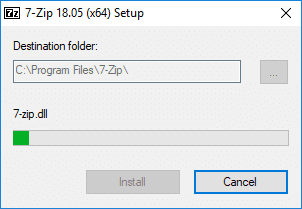 Right-click a file and 7-Zip is available as an item in the context menu. Depending on the type of file different actions are available. 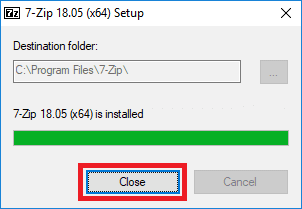 Congratulations, you have installed 7-Zip on Windows 10! Drop a line below if you have any question. Or if you want to say thanks.